James became enthralled with the concept of electricity after he experienced an accident tinkering with a radio. Thus began his journey of pursuing his interest in science academically. His parents believed there were better prospects for an African American physician rather than becoming a scientist. Unrelenting, he received a bachelor's in Physics from Temple University in 1957 while interning at the Acoustics Research Department at Bell Laboratories and after graduating was hired for a full-time position at Bell Laboratories. In 1962, Dr. West and fellow scientist Gerhard Sessler developed and patented the foil electret microphone. By 1968, the electret microphone was in mass production. Even today, 90 percent of all contemporary microphones (telephones, tape recorders, camcorders, baby monitors, hearing aids, etc.) use their technology. In 1999, both men were inducted into the National Inventors Hall of Fame. 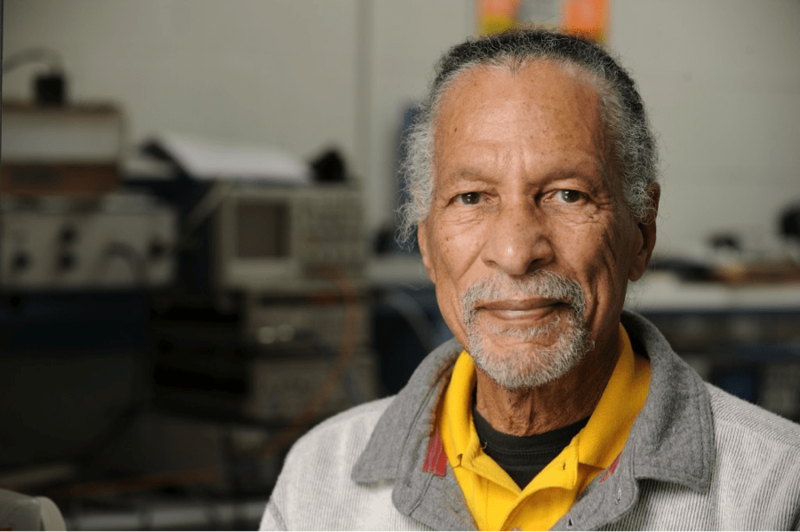 Along with his contributions to acoustical science, Dr. West co-founded the Association of Black Laboratory Employees (ABLE), which addressed placement and promotional concerns of Black Bell Laboratories employees. He created both the Corporate Research Fellowship Program (CRFP) and the Summer Research Program, which helped more than 500 non-white students graduate with degrees in science, engineering, and mathematics. After working 40 years at Bell Laboratories, Dr. West retired in 2001. He then became a research professor at Whiting School of Engineering at John’s Hopkins and is currently a professor in the Department of Electrical and Computer Engineering. Since 2015, Dr. West has served on the Board of Directors of the Ingenuity Project, a non-profit organization collaborating with Baltimore City Public School System to support talented middle and high school students in science and math.